AceMoney makes it easy to manage a checkbook, create and manage budgets, juggle finances in multiple currencies, track spending habits, record expenses, transfer among accounts, and even do on-line banking. Account information can be shared or password protected. Scheduled backup is automatic. 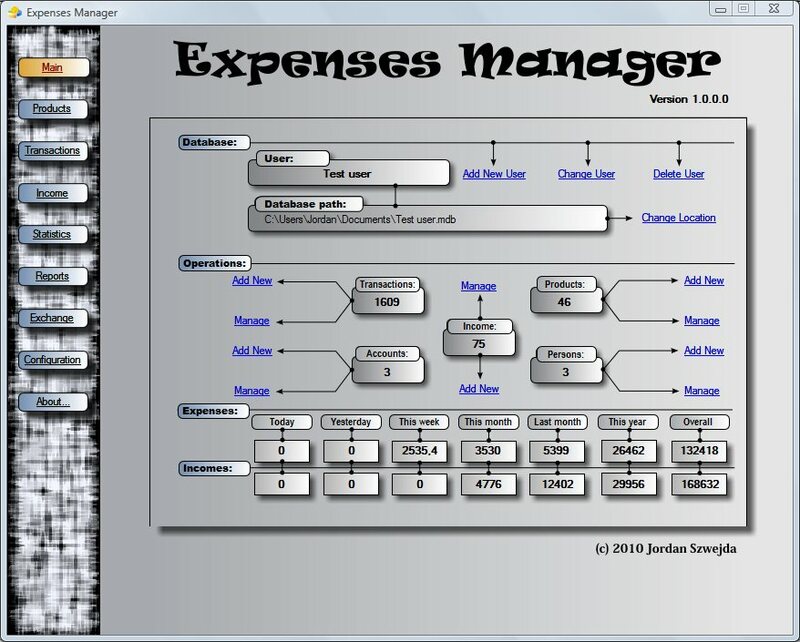 Many other features are instantly usable without prior experience in accounting! Bytecent is the first peer-to-peer rewards network powered by blockchain technology. Bytecent does not require any special hardware or complex configurations to begin earning Bytecent. Download the Bytecent client and use the power of your CPU to help secure the network, and in return you will be rewarded. Convert your Bytecent into gift cards, cash, or Bitcoins. You have the freedom to choose how you spend or convert your Bytecent. 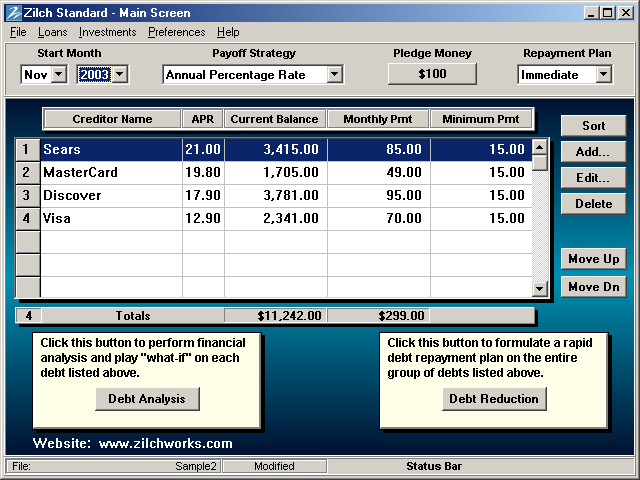 CHECKBOOK EASE Freeware Checkbook and Budget. 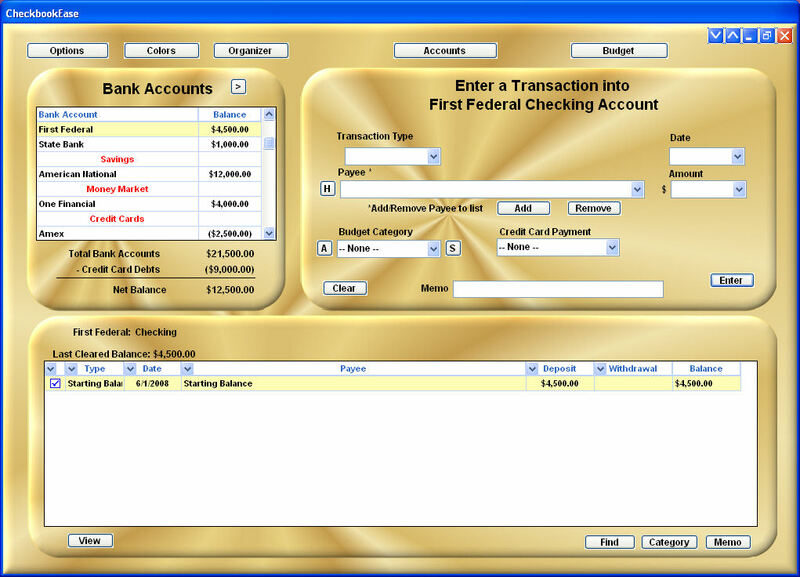 Major features: envelope budget system, split budget, monthly summary/charts, register sorting, archive accounts, transaction entry order selection, economic planners, 20 color background. Trial of Premium Version with multiple accounts, import download transactions, backup restore data, import bank accounts, schedule transactions, day planner, multiple calendars, notepad and picture viewer. 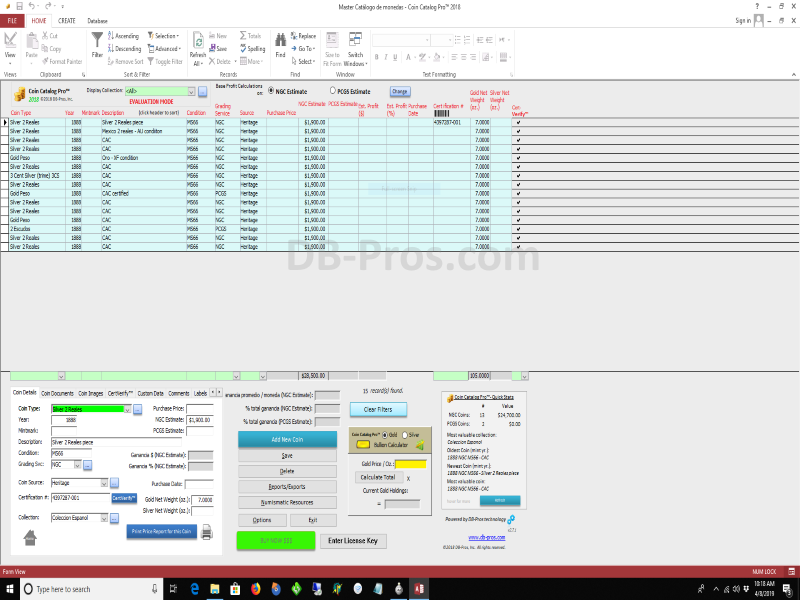 CheckbookEase Premium 2.1, budget and personal organizer with envelope budgeting , split budget, transaction entry order, monthly summary/charts, import transactions from the internet, schedule transactions, credit card, college and home purchase planners. Backup/Restore, password protection. Organizer with day planner, multiple calendars, notepad, task manager, picture viewer. Appointment and task reminder. Select from 20 color backgrounds. Benefits of Coin Catalog Pro: *Maintain detailed data for all of your coins in one powerful software database *Sort and filter your data by coin type, cost, grading authority, grade, etc. *Save photos, documents and attachments alongside each coin - no more searching! *Keep your valuable coin data information secure and For Your Eyes Only *FULLY UNDERSTAND THE VALUE OF YOUR COIN COLLECTION! Avoid costly credit card mistakes and save thousands in interest costs. 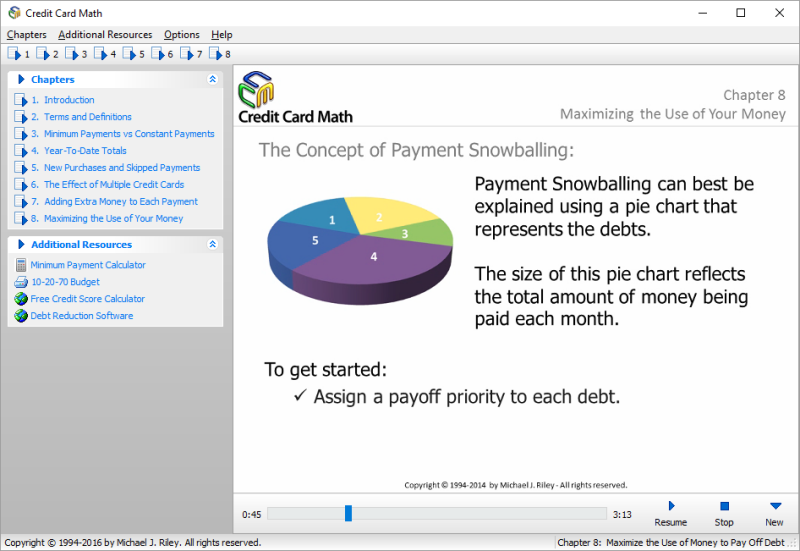 Credit Card Math goes behind the scenes and reveals insider secrets about credit cards. Learn how to get out of debt, save money, and beat credit card issuers at their own game. Eight topics are explained using simple, easy to understand concepts and examples. Credit Card Math is the perfect tool for anyone who wants to break their dependency on credit card use. Welcome to the FREE Credit Card Reminder! The purpose of this program is to help prevent late charges and fees by reminding you to pay your credit cards in a timely manner. With our busy lives, it can be easy to forget a payment--especially if you have several cards that come due at different times of the month. The program can handle up to 20 cards! CSV2QIF converts CSV to QIF format. 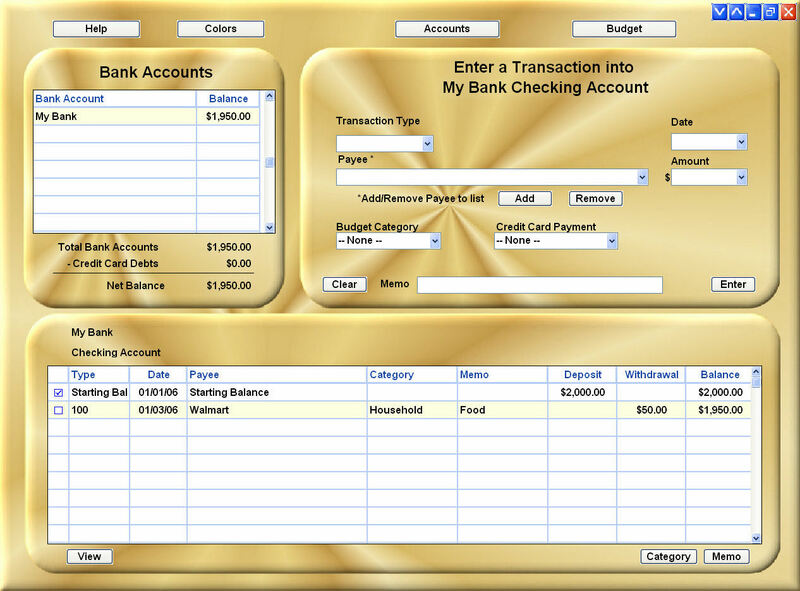 QIF format is importable into Quicken (all versions including latest 2014, all account types including checking, credit card), Ms Money, YNAB, MYOB and others. CSV2QIF supports CSV, XLS, XLSX, TXT as input files, as well as direct copy and paste from excel. CSV2QIF shows you contents of your CSV file, automatically maps it to QIF (manual mapping is available).